I’ve quoted Albert Camus before, but he bears repetition – ‘Psychology is action, not thinking about oneself.’ The charitable objects of the British Psychological Society include ‘to promote the advancement and diffusion of a knowledge of psychology pure and applied’. Our purpose is to benefit the general public, rather then ourselves. These considerations apply to our avenues for communication – including The Psychologist itself. It could be argued that The Psychologist is our ‘in-house’ magazine, serving as ‘the voice of the Society’. Alternatively, since we pay for The Psychologist through our subscriptions, there’s an argument that it should serve as the ‘voice of the members’. I am much more strongly attracted to the second option, but I would go further. Human societies (and Societies) have a tendency to become self-serving. For me, The Psychologist could best be seen as having a responsibility beyond the Society, beyond the Members and more properly for the wider public. 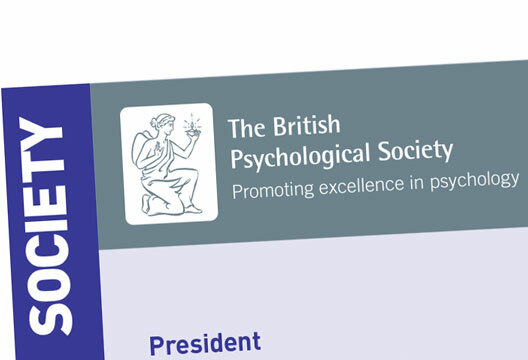 We have recently relaunched the Society website – designed specifically to welcome and encourage members of the public to engage with psychology and the work of psychologists ‘pure and applied’. As we also relaunch The Psychologist, similar functions are worth considering. I strongly favour the idea that The Psychologist should serve the public first, psychologists (the members of the Society) second, and the Society itself only last. And it is perhaps particularly important to ensure that The Psychologist has the editorial freedom to question and challenge. Like Camus, I believe that academic and scientific disciplines are essentially about real life – and the very real challenges that face us all, perhaps especially now. Professions and scientific disciplines advance though challenge. At best, statements of fact are treated as hypotheses to be tested rather than accepted without question. Practitioners and clinicians develop new approaches to helping people in difficulty by proposing new formulations or methods or approaches, explicitly competing with the status quo. An ‘in-house’ magazine that was not similarly able independently and fearlessly to challenge received wisdom would fail to protect and promote our discipline and profession. The Psychologist has become the place to find intelligent, topical, insightful, independent and critical voices in UK psychology. Long may it continue.